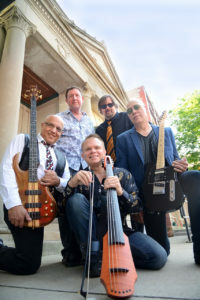 Our last show in Ravenswood this year is Strung Out, a popular local group that combines rock, folk, Bluegrass, swing and classical in a unique way – not to be missed! Strung Out is Chicago’s Ultimate 70’s Musical Experience. Jeff Sismelich – Vocals, Guitar, Keys. Tom Culver – Cello, Violin, Vocals. Ted Spaniak – Guitar, Keyboards, Vocals. Jeff James – Percussion, Vocals. John Chisari – Bass, Vocals. Strung Out’s sound all starts at Tom’s fingertips. As a classically trained cellist, he is a member of the West Suburban Symphony Orchestra, Harmonia String Quartet, and There’s Always Room For Cello. Since he was 16 years old, Jeff Sismelich has been continuously making music in working bands. For over 3 decades as a lead vocalist, he’s played all over the midwest with some of Chicago’s finest musicians. If you’ve ever watched A&E, Biography, or PBS, chances are you’ve already heard Ted Spaniak’s guitar playing on a variety of soundtracks. He’s also appeared thousands of times rockin’ piano and guitar in clubs throughout Chicagoland as well as across the US and Canada. Jeff James is all about “Keepin’ The Groove Alive”. Jeff has been a sought after show drummer for the Platters, Drifters, Coasters, Diamonds, Chordettes, Marvelettes, Frankie Ford, Johnny Tillotson, The Tokens, Fabian & Wolfman Jack. We’ve dug through the incredible treasure trove of classic 70’s music that other bands overlook and found the greatest songs that are as diverse as the decade itself! Rock, soul, funk and fantastic One Hit Wonders that are instantly recognizable and deeply woven into the fabric of our culture and our memories and the addition of the electric cello, creates a fresh and amazing sound that breaks the mold of every other classic rock band. Classic rock executed to perfection with the highest level of musicianship along with amazing vocals and harmonies. 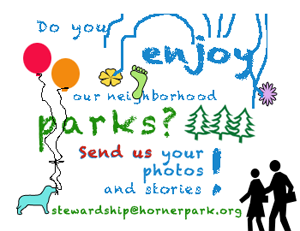 This show is produced by The Horner Park Advisory Council in partnership with the Chicago Park District. It is sponsored by State Senate President John Cullerton.